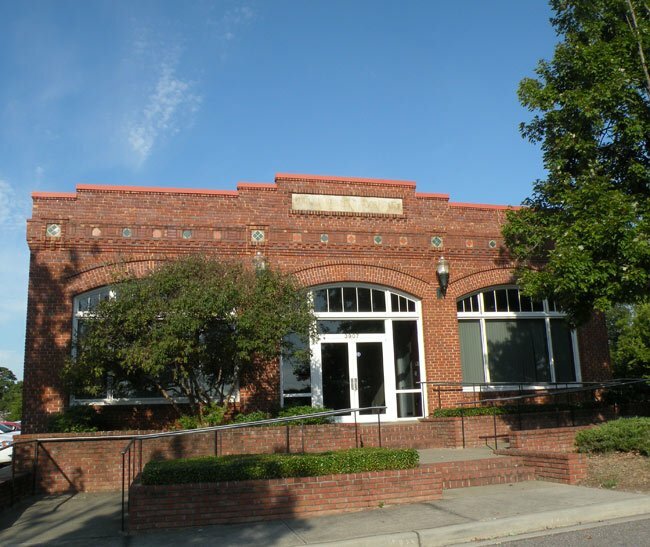 This asymmetrical brick building in the Richland County community of Eau Claire was built as a publishing house, allowing for its alternative name, the Eau Claire Print Building. Built in 1914 by publisher and Lutheran minister Walton H. Green, the building was home to the nationally-circulated weekly publication American Lutheran Survey until 1928. Shortly after this building was completed, the Survey Publishing Company printing plant, seen below, was added to the property. Its decorative tiles complement those seen in the main building. After the magazine closed, the vacant space became the Eau Claire Town Hall until 1955. That year the town merged with Columbia, taking the municipal matters of Eau Claire to the capital city. Today the former Eau Claire Town Hall is a popular event site. Under construction from 1912 to 1914, the Eau Claire Town Hall served until 1928 as offices for the American Lutheran Survey, a weekly publication with national circulation. Walton H. Greever, a Lutheran minister who edited the Survey, was responsible for having the building constructed. Greever, who also taught at the nearby Lutheran Seminary, developed much of the Eau Claire section. 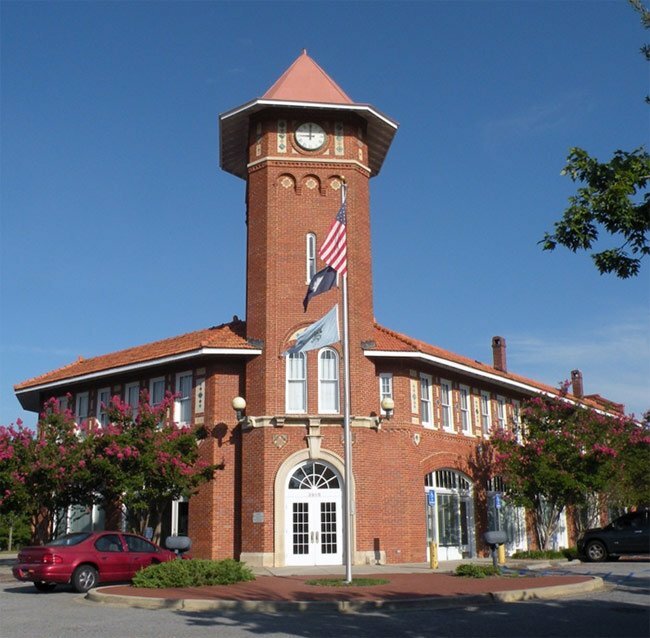 After the Survey folded in 1928, the building served as the seat of government for the Town of Eau Claire until 1955 when Eau Claire merged with the City of Columbia. Designed by J. Carroll Johnson of the firm of Urquhart and Johnson of Columbia, the structure is a distinctive early twentieth century commercial building with use of decorative concrete and tile, a four-story tower, and an asymmetrical plan to fit the shape of the lot. The first floor features segmentally arched bays: five each on the east and west sides and two on the south side. Corners on the south side of the building, and on the tower, are canted. The building has wide overhanging eaves, wooden brackets, and a tile roof. The original tile roof of the tower has been replaced with tin. Constructed shortly after completion of the Town Hall building, the Survey Publishing Company Building housed a printing plant. A one-story brick building, it has many of the decorative features of the larger building.